Between 2016 and 2026, expect job growth of 10% for meeting and event planners. The Bureau of Labor Statistics predicts this relatively new career will increase 10 percent by 2026. Stephanie DeMatos, owner of Socialize Event Co. in Nashville, says the demand for meeting and event planners in Nashville is likely significantly more than 10 percent since the city has become popular for conventions, weddings and nationally televised events. 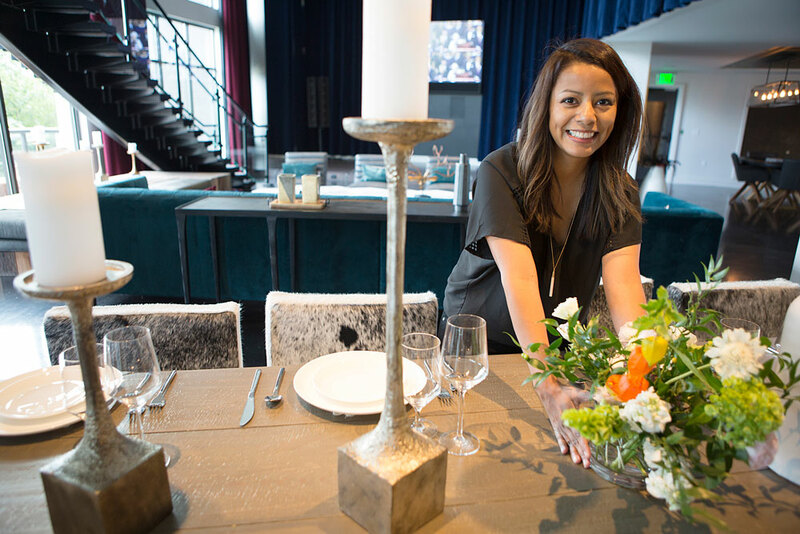 Stephanie DeMatos, a corporate and special-events planner and owner of Socialize Event Co., sets up a table at Novel Music Row in Nashville. Stephanie has owned her company for eight years and is on the leading edge of a growing industry. “This industry is so new, and it has really evolved and grown in recent years,” DeMatos says. “There are few reasons for this. First, more companies are realizing the importance of creating experiential events for their customers, clients and employees for different reasons including client appreciation, product announcements or spotlight of current/completed projects. “In the past this was done through a company newsletter or a low-key gathering.” DeMatos adds. “That has evolved into appreciating the value of a well-curated event or celebration. DeMatos, who launched Socialize Event Co. in 2010, explains she’s gone from three to four events a year to 13 to 20. The company manages, designs and produces experiential events with a focus in corporate events and meetings in the Southeast. “Budgets [for events] are much more now,” she says. “They’ve gone from $20,000 to $60,000 to $80,000. Our office is in Nashville which has quickly grown into a destination spot in recent years. This has caused a huge increase in business in recent years from companies based in other cities and countries. The BLS reports the median annual wage for meeting, convention and event planners was $47,350 in 2016. The best-paid 10 percent in the field made $83,030, while the lowest 10 percent made $25,670. Although a college degree isn’t required to be a meeting and event planner, many in the field have studied subjects such as hospitality, business or public relations at the college level. “You must be a problem solver, have great people skills, be extremely organized and a pro at time management,” DeMatos says. “You need to be grace under pressure, enjoy a fast-paced environment and think quick on your feet. You wear a lot of hats in this job, and you have to be okay with that.